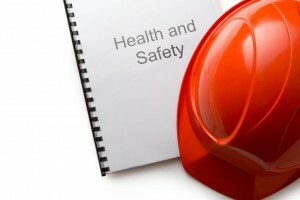 NJS Safety is with you all the way, ensuring your essential Health & Safety Legislation duties are met, providing a friendly personal service that is specific to your company’s needs. We are a hands on, proactive company that responds quickly and efficiently to your Health & Safety requirements. Should you require any member of our experienced specialists on site, ‘NJS SAFETY’ will be there when you need us, not when we can be there. NJS Safety is here waiting to walk you through the key, critical steps required by law. Training or recruiting your own Health and Safety specialist can be costly, time consuming or prevent you focusing on your core business. Whether you need long or short-term assistance, general advice or support NJS Safety can provide you with an experienced, qualified Health & Safety advisor with the flexibility to work alongside your team. Whether it’s a full management system, risk assessments or just a policy update. NJS Safety can help assist you every step of the way. For further information or to discuss any Health and Safety matters please contact: 07745727235 or office@njssafety.com.